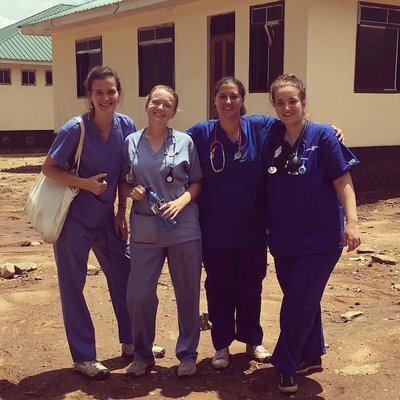 As soon as I found out that I would have to do a nursing elective in my second year, I immediately knew I wanted to go to Africa. 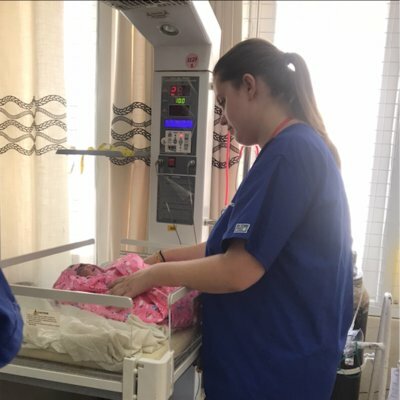 Since I started my training I had wanted to experience nursing in Africa and this was the perfect opportunity. My month in Ghana was the best month of my life to date, one of the most challenging but definitely the best. 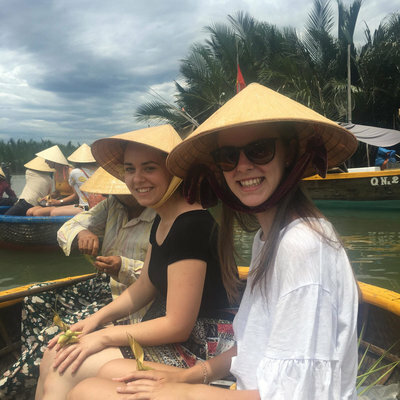 I chose to go with a company to do my elective as I was very busy at university and wasn’t very confident with the idea of planning everything myself and being alone in a completely foreign environment. After weeks of research and reading various blogs I chose to go with WTW due to the feedback and the ease of the process. Before I left I had many phone calls with representatives from WTW who were brilliant with answering any questions or queries that I had. No matter how many times I phoned they were always happy to help! When I arrived in Accra I was greeted by Ezekiel who took myself and another 2 students to get some dinner and then to the hotel where we would spend the night before traveling to Takoradi in the morning. The 4 hour trip to Takoradi flew by as my mind was blown away by the scenery that was passing us by on the coach journey. That afternoon we met the rest of our housemates and were shown around Takoradi; to town, the market, internet cafés, beaches etc. The following day Joe took us to the hospital to show us around and introduce us to all of our supervisors that we would have throughout our time at the hospital. The house was lovely – we had our own kitchen and dining area as well as the kitchen and dining area downstairs where we had our meals cooked for us. The staff were absolutely phenomenal; any problems or questions at any time of day or night and Joe or Ezekiel were happy to help. The weekly BBQ they organised was a great laugh was something we all looked forward to. I spent 4 weeks in the hospital overall; 1 week in orthopaedics, 1 in paediatrics and 2 in A&E. I also wanted to spend some time in NICU and on the labour ward so I spoke to Joe and he organised this for me, I also went to the mortuary to see what it was like there and that was definitely an experience! Most days we spent the mornings in the hospital until 2pm and then went to the market or the beach. The hospital was eye opening – a lot of the staff and students were really eager to learn about how things are done back in the UK and I wish I had taken some photographs to show them as they were all asking to see photos! The highlights of my times in the hospital were in A&E where we got really involved with the treatment and care of the patients. I looked after patients following gas explosions, with malaria, TB, car accidents, chain saw accidents and so much more. It was amazing to see how they made use of equipment in so many different ways, for example oxygen tubing was also a tourniquet. At weekends we went on trips around the country. For longer trips we were able to take the Friday off of placement as sometimes they involved a fair amount of traveling. The first weekend we visited the stilt village and stayed the night in Axim beach which was AMAZING. The next I went to Kakum national park where we spent the night in the treehouse and went on a night hike. In the morning we walked the canopies, which was great fun despite the torrential rain! For my final full weekend we went to Hohoe where we visited the monkey sanctuary and took a 2 hour hike up to Wli waterfalls which was beautiful and well worth the journey! For my final day in Ghana before we left for the UK I went to Cape Coast. Having not had a chance to go before because of my busy weekends we went to experience the amazing scenery of Cape Coast for the day. It was definitely worth while! My elective placement in Ghana was the best experience of my life. It has opened my eyes to an entirely different way of life and I have so many memories and made so many friends that I will never forget. If I had the chance to go again I would go for 5 or 6 weeks instead of 4 so that I could go on the village experience as everybody who went said they had the most amazing week in the village. There was so much to see and do in Ghana, I couldn’t have gone for less than 4 weeks! Anyone planning on doing an elective placement, I would definitely recommend work the world. From the day I filled out my application form they were so helpful and arranged my placements for me brilliantly. The staff at the house were amazing, they made me feel safe and made it feel more like one big family whilst I was there.